From Australia to the rainforest we’ve put animals that hop in these equal sets! Circle the set that has an equal number of animals as the number. 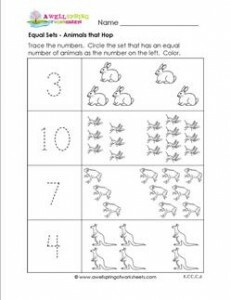 Please go to this page to see all the equal sets worksheets in this set.